Welcome to the May edition of AOE Compliance Connection, AOE’s monthly newsletter! We are excited to share our monthly ACCME, ACPE and ANCC board updates, some news from the world of CME and what we at AOE have been up to this month. We enjoy what we do at AOE! From compliance management to program benchmarking, we are committed to excellence at every step. We love to come alongside our clients, help them navigate the ever-changing waters of CME compliance and ultimately to facilitate their success. This newsletter is just one of the many educational resources we make available to support achievement of success, compliance and peace of mind. We hope you enjoy this month’s edition of AOE Compliance Connection! Please reach out to us with any questions, or just to connect – inquire@aoeconsulting.com. New educational resources have recently been released by the ACCME for the category of “Demonstrates Educational Leadership” in support of implementation of the Menu of New Criteria for Accreditation with Commendation. Criterion 34: The provider supports the continuous professional development of its CME team. Criterion 35: The provider demonstrates creativity and innovation in the evolution of its CME program. Click here to view the educational resources available for Criteria 33-35 “Demonstrates Educational Leadership.” Written FAQs, videos and compliance examples for the commendation criteria have been created to assist providers currently seeking Accreditation with Commendation using the new menu. Providers working to achieve commendation under the new menu need to meet the requirements of any seven criteria from the five menu categories, plus at least one of the criteria from the “Achieves Outcomes” category. As a reminder, organizations who are seeking Accreditation with Commendation will have the choice of using the current Commendation Criteria C16-C22 or the Menu of New Commendation Criteria C23-C38 until November 2019. The ACPE categorizes activities into one of three types: knowledge, application and practice. It’s important for providers to understand the differences between the three types. They are not, however, required to conduct all three activity types. These activities are primarily constructed to transmit knowledge/facts. The facts used must be based on evidence as accepted in the literature by the health care professions. The minimum amount of credit for these activities is 15 minutes or 0.25 contact hour. These activities are designed to allow the learner to apply the information learned inside the time frame allotted for the activity. As with knowledge-based activities, the information must be based on evidence as accepted in the literature by the health care professions. The minimum amount of credit for these activities is 60 minutes or one contact hour. This type of activity is constructed to “instill, expand, or enhance practice competencies through the systematic achievement of specified knowledge, skills, attitudes, and performance behaviors.” A difference between this type and the previous two is that practice-based activity formats need to include a didactic component and a practice experience component. The minimum amount of credit for these activities is 15 contact hours. Holds a baccalaureate degree or higher in nursing (or international equivalent). The LNP must have authority within the Provider Unit to ensure compliance with the ANCC Accreditation Program criteria at the organizational level as well as at the continuing nurse education activity level. The LNP must also be responsible for orientation and training of all Nurse Planners within the organization. The LNP must ensure that each Nurse Planner understands the ANCC Accreditation Program Criteria and appropriately evaluates compliance with the criteria. AOE Consulting strives to demonstrate value outside the scope of CME/CE by engaging in the community in unique ways – and this month, in two ways! 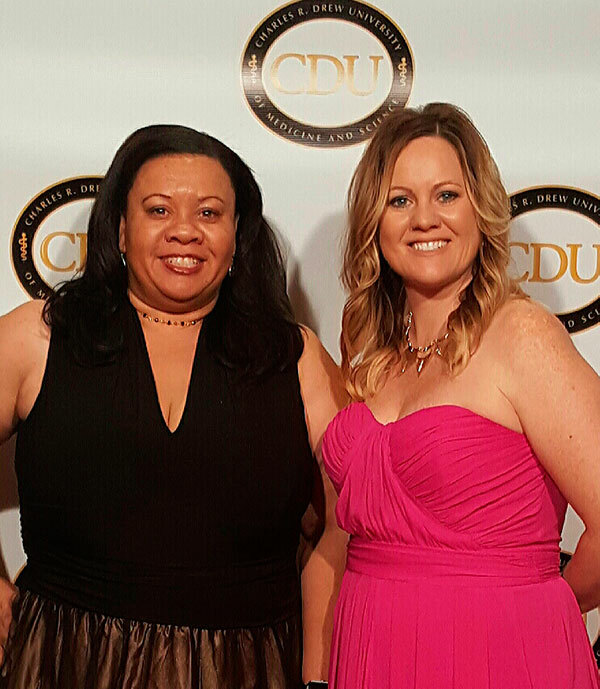 This past month, AOE supported the 5th Annual Legacy Leaders Spring Gala hosted by Charles R. Drew University of Medicine and Science (CDU). Managing Director, Annika Borvansky, attended the gala in support of the university and its mission to “…[cultivate] diverse health professional leaders who are dedicated to social justice and health equity for underserved populations through outstanding education, research, clinical service, and community engagement.” The gala honored several key leaders including the heirs of Dr. Charles R. Drew, the namesake of CDU, the Honorable Mark Ridley-Thomas, Chairman, Los Angeles County Board of Supervisors, Second District and Wilbert C. Jordan, MD, Founder and Director of the Oasis Clinic and AIDS Program, a pioneering collaboration between CDU and Los Angeles County. Later in the month, the AOE team engaged in a service project that supported the Denver area Mile High United Way’s Bridging the Gap (BTG) program. The program supports young adults exiting the child welfare system by providing Independent Living Coaches and a variety of supportive services to facilitate the transition into adulthood. 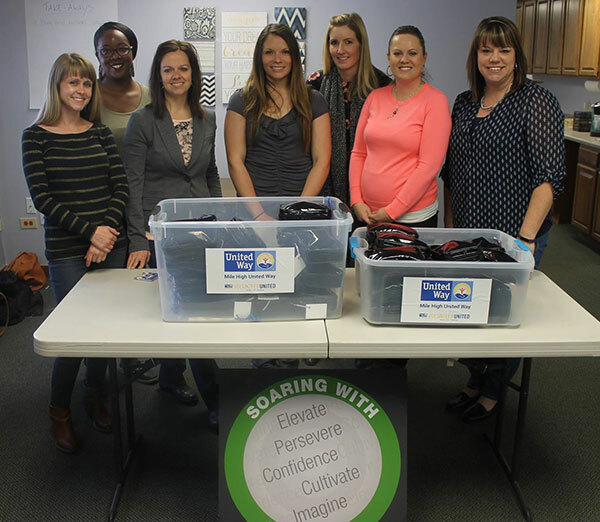 The AOE team created “pamper kits” for young women in the BTG program. The kits included necessities such as soap, deodorant, tissues, and feminine hygiene products as well as fun items such as nail polish and notes of encouragement. This was the first pamper-kit building for BTG. AOE is honored to support the Mile High United Way and loved learning more about this incredible program. The AOE team with United Way’s Bridging the Gap Program Coordinators. CME Conversation: Your Voice Matters! Earlier this month, the American Medical Association (AMA) and the Accreditation Council for Continuing Medical Education (ACCME) requested feedback from CME providers. Following their joint proposal to simplify and align expectations for activities certified for AMA PRA Category One Credit™, they are inviting comments from the CME community until May 25, 2017. It applies directly to accredited CME providers, as it would allow for the introduction and combination of new educational practices and formats deemed appropriate to learners, as long as the seven core requirements listed in the proposal are still met. These requirements are not new; they align with existing ACCME requirements. Providers can access the survey here. Comments will be accepted until Thursday, May 25, 2017, at 5:00 pm CST. Please note that all comments and names are considered public information that may be used by the AMA or ACCME’s websites. Feel free to reach out to AOE if you have questions about the proposal or the open call for comments. We are here to assist you!